On March 8th another podcast will launch and in doing so it will become part of the enormous heap of podcast material that is available for consumption. So why is this new one significant? I’ll get to that in a moment, but first a few stats. Podcasting has seen enormous growth since it’s inception in 2003. So why do we need another one? In 2015 it was estimated that between 180,000 and 206,000 podcasts had been created and those numbers have only grown since. Again, why do we need more? There are podcasts on pretty much every conceivable topic that reach out to a wide variety of demographics, which means that if you create a new one, it needs to be unique. This new one is. The way I look at is that it should have broad topic appeal, and yet be tailored to a specific audience. Yep! The infographic at the end of this article (courtesy of Jon Nastor & Copyblogger) gives a great summary of the history and state of the podcast industry. So let’s talk a little about this new podcast that will launch on March 8th. It’s called the By War & By God Podcast. Although not at all preachy, it has a Christian angle to it, which places it right into the largest podcast segment that exists (see the infographic below). Potential broad appeal. The podcast is based on the EMMY® nominated film By War & By God, which also places it into the 4th largest podcast segment “TV and Film” (see the infographic). More potential broad appeal. The series will focus on the Vietnam war veterans who appear in the film, but in the podcast we have room to go much deeper into their stories than the film was able to. So there is a war element to this series. Big deal, there are a lot of other war podcasts out there. But what makes the By War & By God Podcast unique is that this group of Veterans goes back to Vietnam to love and serve the people of that beautiful land. Whoa… That is unique! That aspect of the podcast will help us stand out from the crowd. With the success of major recent films like Last Days In Vietnam there has been a renewed interest in the Vietnam War. It’s hard to believe that it’s been over 40 years since that war ended which means there is a huge potential audience of people that didn’t watch that war on the news every night. Many of these have never heard the personal stories from the soldiers themselves and that’s a part of what this new podcast will do. But the podcast is much bigger than merely sharing stories of the war. It’s a podcast about reconciliation. That’s a big word. Most of the men in the film and the podcast came home from that war wondering why they survived when many of their friends didn’t. They felt the survivors guilt. Some self-medicated to try to cope. Others tried to blend into society, but couldn’t. And each of them felt the need inside for some type of reconciliation. Some felt they had destroyed the country of Vietnam. Others felt they had destroyed the people of Vietnam. And most of them sensed this magnetic pull to go back to the land of the war. They sensed a need for reconciliation between themselves and the land, the people of Vietnam, their enemies, and ultimately between their souls and God. Since 1989 these Vets With A Mission have taken nearly 1400 veterans back to Vietnam as part of this ministry of reconciliation. Who knew this type of work was taking place? So on Wednesday March 8th, we launch this very unique podcast. I hope you’ll join us as we share the stories of these great men and women who fought in a war, but who became heroes many years after that war was over by going back and serving some of the poorest of the poor in Vietnam. 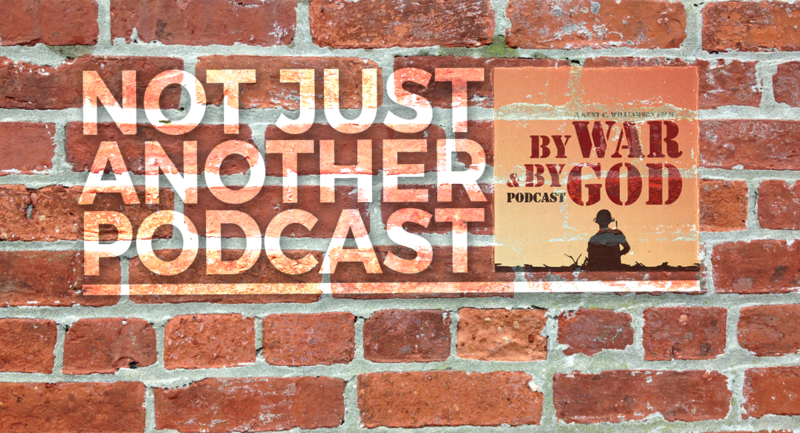 Take a few minutes and listen to the preview episode of the By War & By God Podcast right now. You can find it on iTunes or wherever you get your podcasts, so check it out and please subscribe.